LIBERAL, KS – Southwest Medical Center celebrated the arrival of Liberal’s first newborn of 2017 during the evening hours on New Year’s Day. Franklin Jose Samonte was delivered by Dr. Lamberto “BJ” Flores at 5:07 p.m. on Jan. 1. Baby Franklin was born to new parents, Zen and Jun Samonte, of Hugoton. 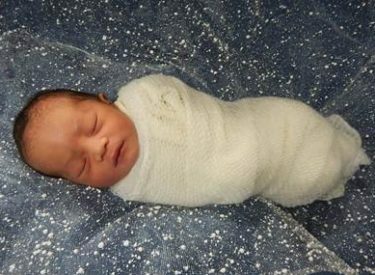 He weighed in at 6 pounds, 3 ounces and measured 19.5 inches in length. The team at Southwest Medical Center cared for 759 total newborn deliveries in 2016.